What a horrible ending to a great game. 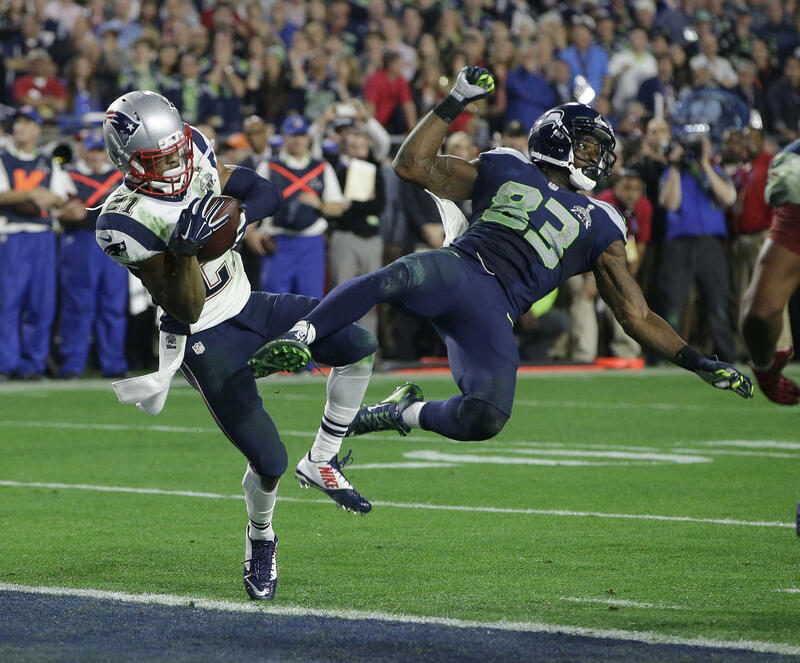 Super Bowl XLIX would have been remembered as a great game, but instead, will be remembered for one of the worst play calls in the history of sports. All the Seahawks had to do was give the ball to their best player, Marshawn Lynch, and let him get 1 yard to win the Super Bowl. He had three chances to do so. Instead, they threw the ball and it was intercepted. Abe Lincoln could have finished a play better than the Seahawks coaching staff. Funny, because the Seahawks ignored Lynch like he ignored the media all week. Serves him right anyway. Lynch had no reason to disrespect the media like he did. Nobody is out to get him, and in typical fashion, another athlete ignorantly blames his own stupidity on the media. Lynch said he only showed up at media day so he didn’t get fined. For much of the 1st half, Russell Wilson was playing like he was just there so he wouldn’t get fined. Wilson wasn’t great at the end either, and in the end, white guys had not caused so much depression in Seattle since the death of Nirvana. 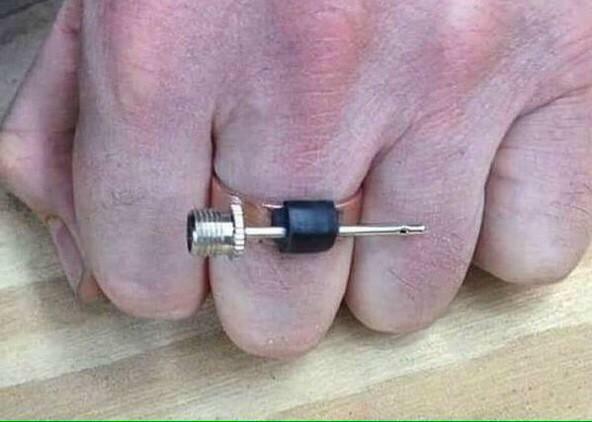 As for the Patriots, say what you will about the “alleged” cheating, but Tom Brady’s legacy still speaks for itself. Joe Montana and Terry Bradshaw are the only other quarterbacks with four Super Bowl rings. Montana and Bradshaw probably have better cases for being better quarterbacks and having a better legacy, but Brady has the best legacy of anybody since 1990. Nobody has done more with less around him on a consistent basis. I think Rob Gronkowski is going to party harder than anyone ever has over the next 6 months. The Scottsdale PD probably had their hands full dealing with this guy last night. Just think how excited he’s is going to be when he gets he gets his Super Bowl ring. Here’s a sneak peek at what it will look like…. One part of the Super Bowl that I have always enjoyed is the commercials. This year, they were terrible. I was just waiting for a commercial to laugh at, and it felt like one commercial after another that was very sad. I’d like to extend a special thank you to Nationwide Insurance for sucking the joy out of the entire event, by reminding us how children can die in household accidents. Considering how depressing the commercials were, the halftime show should have been just Sarah McLachlan singing Angel, surrounded by dead puppies. However, Katy Perry’s halftime show was outstanding, especially when she rode on that giant mechanical lion. The surprise appearance by Missy Elliot was great as well. Our country must be bankrupt after putting that entire productions together. That was a very important loss yesterday by the Lakers, against the lowly Knicks. Obviously Byron Scott was a little bit worried about his job after beating the Bulls on Thursday, so he made sure his team laid a major egg yesterday and continued to tank to better their draft position. I’m also beginning to wonder what the story is with Nick Young and Byron Scott’s relationship. Young seems perfectly healthy enough to play, but Scott is holding him out of games. I don’t think Scott is too thrilled with Swaggy’s defense or attitude these days, so I’m not going to be surprised if the Lakers put him on the trade block in the next few weeks. As for Kobe, it’s funny how his timetable suddenly went from 3-6 months to 9 months after having rotator cuff surgery. When that happens, I think the surgery should be considered “unsuccessful”. Just more reason why the Black Mamba needs to call it quits. Impressive with by the Clippers against the Spurs over the weekend. The Clipps really did not have a signature win yet this year, and they took down the defending champs on the road. The Clippers just looked angry after losing the night before at New Orleans. Toughness is one area that I have repeatedly question for this team, but DeAndre and Blake showed a lot of it on Saturday night, dominating throughout. Somehow, the bench is starting to look even thinner after the Austin Rivers trade, but for now, the Clipps are slowly climbing in the Western Conference standings. Speaking of big wins, UCLA basketball put together a couple of very big wins over the weekend against Utah and Colorado. The Bruins had not beaten a ranked team all season, let alone a quality opponent. Looks like they finally got that “signature win” they were looking for. That should be good enough to secure a tournament birth……..in the NIT that is. That was one impressive win the Kings had against Chicago last week at Staples Center. That shows me the Kings still have some good hockey in them, but they better start winning on the road ASAP, because the playoffs are slowly slipping away from them. Even worse is the fact the Kings are stuck with a $5 million minor leaguer, in Mike Richards, and a defenseman that is about to be deported for domestic violence. This may be too much to overcome this season. Meanwhile, the Ducks have given themselves plenty of breathing room in the standings prior to the post-season. Anaheim is a full 10 points ahead of everyone else in the Pacific Division. The playoffs though, that’s what they need to figure out. This entry was posted in Morning Coffee on February 2, 2015 by omzzzzz.